Small business owners get overwhelmed. Depending on where you are at today, you may feel like you have everything under control or like someone needs to toss a lifeguard ring to you because you’re drowning in a wave pool of marketing needs. Wherever you’re sitting on that spectrum today impacts your perception of whether you need to outsource your small-business marketing. You may already know you need it but are too skeptical of making that leap, or, perhaps, you need additional confirmation that what you are experiencing is, in fact, a sure sign that now may be the time to find that marketing partner. 1) There is not enough time in the day to complete everything you need to get done marketing-wise. Wishful thinking that you can do everything is one thing—doing it is another. Let’s face it…most small-business owners have that mind-set. It worked for a little bit, but in most cases, there was some crash and burn associated with trying to take on everything. Something has to give. It doesn’t matter if you think you can do it all, which may be possible. What tends to happen is that something else suffers as a result. It’s not practical to give 100% to everything, every day. Small business doesn’t effectively work that way. So, if you find yourself being pulled in every direction in your business, and still feel like taking 1 step forward takes you 2 steps back with your marketing, this is a pretty good sign that you may want to consider outsourcing your marketing. The pastor cannot be expected to be a marketing expert. The realtor cannot be expected to be a marketing expert. The reason you started a business is because you’re a rock star at what you do. If that’s marketing, well, then you probably don’t need to outsource—that is based on the assumption of outsourcing the strategy, as you may need to outsource the talent to deliver the service. In this example, we can see that even experts need help. 2) There are inconsistencies between your vision and marketing reality. This may be a tough pill to swallow, and most don’t want to face the reality. It is not a sign of weakness to identify it and do something about the inconsistencies. This is a common factor for individuals who do not have an art, design, or marketing background. The vision of what you want marketing-wise is there, but the actual reality doesn’t match up. There are a variety of reasons why that can and does happen. It can be the tools used in crafting the marketing strategies, the inconsistent designs, or the cookie-cutter approaches from a number of free online resources. Sure the intent was well-meaning, and it was likely an attempt to do it yourself to save money. Frugality is important, but it can also hurt your brand and marketing initiatives when the inconsistencies devalue the business, product, or service. In fact, in many cases, the time reworking the projects costs more than the initial investment. So, if there is a disconnect between your marketing vision and reality, you may want to consider outsourcing your marketing needs to a firm that can help deliver that marketing image consistently. 3) You’ve lost the “fun” spirit you had when you started the business and are feeling drained. This can go beyond the scope of marketing, but if outsourcing the marketing function would help you refocus on what it is that prompted you to get into business in the first place, it may be one of those saving graces that can help you get back to you. If your marketing initiatives are not clear, consistent, or performing, it may be time to step back and partner with a marketing firm that can help you identify strategies as well as deliver, monitor, measure, and adjust initiatives. This would take several responsibilities off your plate and could provide you with more time to focus on areas of the business that you enjoy. As a result, it may also help you regain a more positive mind-set, and as we like to say at Viral Solutions, help make business fun again. 4) You’ve been following marketing gurus and attending conferences, webinars, and seminars but still can’t get your marketing to work. Though it’s recommended to keep an eye on what the best of the best in the marketing world are doing, it’s also important to avoid getting too hung up on tools and trends. These are merely tactics you use to execute your strategy and optimize your opportunity. They shouldn’t be treated as the focus of your marketing efforts. If you invest in every “latest and greatest” widget rather than developing a strategy and really implementing data-driven marketing, chances are you’ll never experience long-term growth in your business. By partnering with an experienced and knowledgeable marketing firm, you could not only get a crash course in marketing strategy vs. tactics but discover the benefits of tackling the former first. Plus, you may just be able to achieve the scalable growth you’ve been looking for. However, for many, the sheer thought of outsourcing may not be enough to take the plunge. For some, it may be coming to the realization that wearing all the hats in a business is draining and not fun. For others, it may be coming to grips with the fact that a variety of free tools and cookie-cutter approaching to marketing have created a disconnected brand. While others are just ready to throw their hands up in a last-ditch effort to make business fun again. 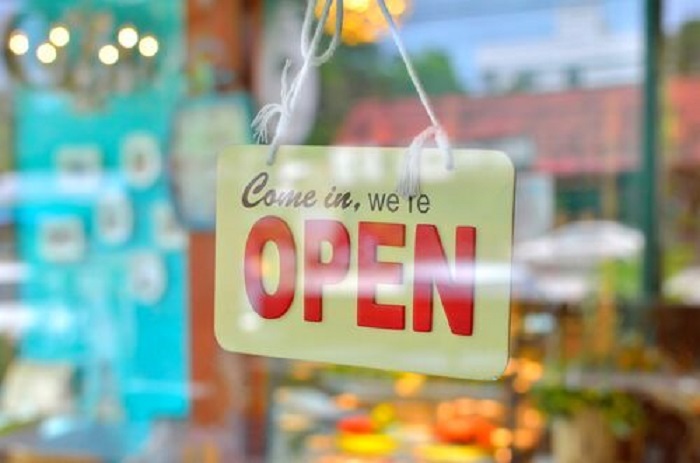 The 4 signs discussed are not the only signs, but they are examples of what many small-business owners do experience and are often the bigger signs that help individuals finally make the switch and commitment to outsourcing their marketing needs. At Viral Solutions, we know how difficult it is for small-business owners to manage their marketing efforts. It’s a full-time job! We also know that wearing too many hats can leave you tired and discouraged by poor results. If you feel like you’re ready to outsource your marketing, schedule a free consultation today and discover how our team can help improve your business’ performance and allow you to find joy in your work again.